Working with the IRS when you owe them more money than you can afford to pay is never a fun process which lands many tax payers into more trouble by accepting an agreement that they cannot afford. The IRS will always try to get you to pay as much money as quickly as possible using a traditional installment agreement which breaks your tax debt into payments over a certain amount of months, regardless of whether this is affordable or not. What they seldom mention over the phone is that there are various settlement and repayment programs available based on one's ability to pay which can make your payment affordable and even reduce the overall tax liability. Determining which program will be most beneficial and will save the most money is difficult when you have no idea what is available. Hiring an experienced CPA firm to ensure the most favorable results for your specific circumstance is a great option but make sure you do your due diligence before choosing a firm. 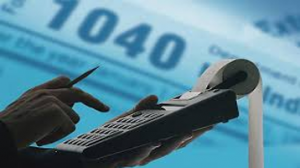 Tax Champions has over 35 years experience negotiating on behalf of our clients and maintains an accredited A+ Better Business Bureau rating with zero complaints and can help with any type of state or federal tax problem.